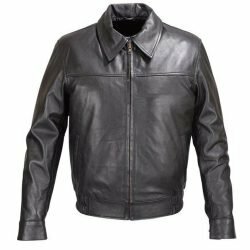 This is yet another timeless classic, Café Racer Style Motorcycle Leather Jacket from Wickedstock. 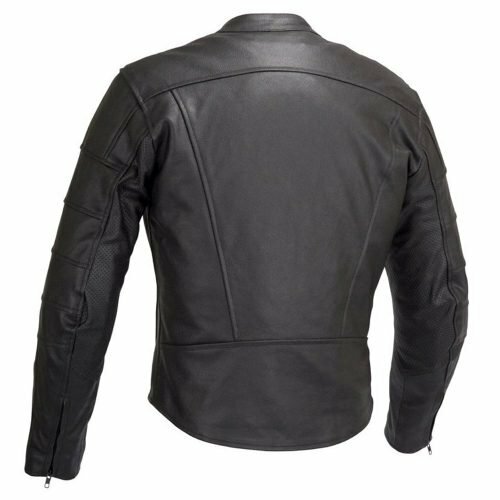 Constructed from natural cowhide, 1.1-1.2mm thick for protection and ultimate abrasion resistance. Protection, elegance and comfort are integrated in the DNA of this jacket. Laid back style looks good off bike as well. 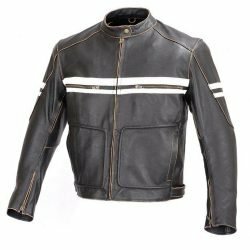 This is yet another timeless classic, Café Racer Style Motorcycle Leather Jacket from Wickedstock. 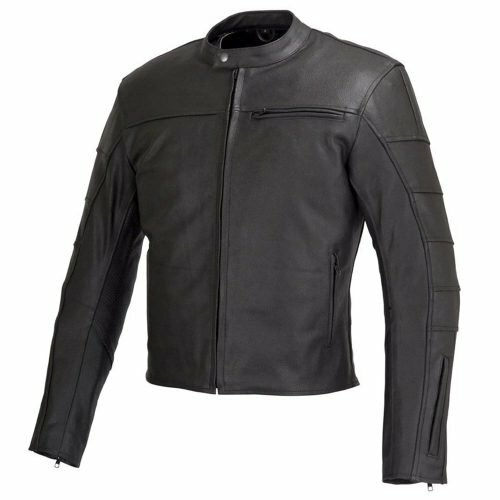 Constructed from Full Grain cowhide, 1.1-1.2mm thick for protection and ultimate abrasion resistance. Protection, elegance and comfort are integrated in the DNA of this jacket. Laid back style looks good off bike as well. 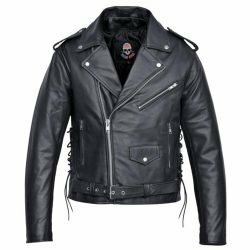 This Motorcycle Leather Jacket has full sleeve zip out thermal Liner. The thermal liner is quilted and retains your body heat to keep you warm on cold rides. A fixed mesh liner is attached to the jacket. 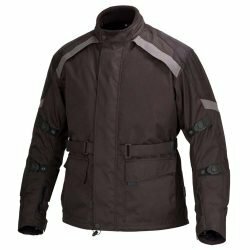 This Jacket comes pre-installed with five pieces of CE Rated Armor; Two elbows, two shoulders and a back protector are all CE rated and conform to EN 1621-1 standard. All these five pieces are in Velcro locked pockets and can be easily removed. 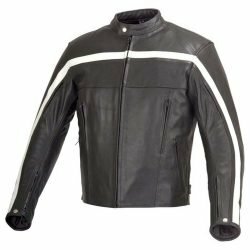 Performance riding fit, with rotated, pre-curved sleeves, dropped back length, and relaxed collar opening. Zippered cuffs are gusseted for adjustability and comfort. 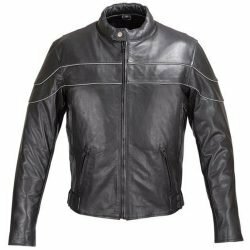 This Motorcycle Leather Jacket has an 8″ pants integration zipper on the inside.